PITTSBURGH & CHICAGO--(BUSINESS WIRE)--Nov. 29, 2018-- The Kraft Heinz Company (NASDAQ: KHC) (“Kraft Heinz”) announced today that it has entered into a definitive agreement to acquire Primal Nutrition, LLC, makers of Primal Kitchen branded products for approximately $200 million. Founded by Mark Sisson and Morgan Buehler, Primal Kitchen is a young, vibrant, better-for-you brand primarily focused on Condiments, Sauces and Dressings including Mayonnaise, Salad Dressings and Avocado Oil, with growing product lines in Healthy Snacks and other categories. The brand holds leading positions in both e-commerce and natural channels, and is expected to generate approximately $50 million in net sales this year. Primal Kitchen will join Kraft Heinz under Springboard, which is Kraft Heinz’s dynamic platform created to partner with founders and brands that will disrupt the food industry. 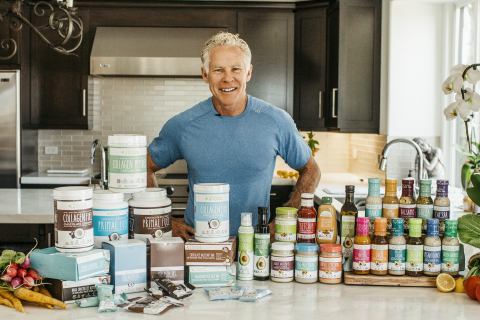 The combination of Primal Kitchen and Springboard will help to realize Mark Sisson’s vision to change the way the world eats. Primal Kitchen will leverage Kraft Heinz’s assets and infrastructure, while still operating as an autonomous company. Primal Kitchen will continue to be led by its current leadership team. Its headquarters will remain in Oxnard, California. Mark Sisson, Co-Founder of Primal Kitchen said, “My mission has always been to change the way the world eats. With that goal in mind, Primal Kitchen launched in 2015 to offer health-conscious consumers the best possible choices in Condiments, Sauces, Dressings and Healthy Snacks. While our growth to date has exceeded all industry standards and expectations, our partnership with an industry leader like Kraft Heinz now offers an unrivaled opportunity to reach millions more of the consumers who have been seeking products like ours for years. Based on the significant time I've spent with the Kraft Heinz team, we share a common vision regarding the future of food and the importance of consumer choices. I look forward to working with them to grow this amazing brand." The transaction is subject to customary closing conditions and is expected to be completed in early 2019. Terms of the agreement were not disclosed. Mark Sisson, New York Timesbestselling author, media personality, ex-endurance athlete (5th place USA Marathon Championship, 4th place Hawaii Ironman finish) founded Primal Kitchen in 2015. He has been educating the world on nutrition and the benefits of high-quality fats and protein for the last decade via his blog, MarksDailyApple.com. Mark set out to create the world’s best-tasting, real-food pantry staples. Primal Kitchen delivers on its promise to create uncompromisingly delicious products that are free of dairy, gluten, grains, and soy, and emphasize beneficial fats and high-quality proteins. Primal Kitchen is the maker of the number one selling Condiment, Mayo made with Avocado Oil, and number one selling Salad Dressing, Ranch Dressing, in natural grocery. As Mark would say, Eat Like Your Life Depends on It, because it does. Learn more at primalkitchen.com. This press release contains a number of forward-looking statements. Words such as “expect,” “invest,” “grow,” “fit,” “continue,” "commit," “expand,” “advance,” “focus,” “will,” and variations of such words and similar future or conditional expressions are intended to identify forward-looking statements. Examples of forward-looking statements include, but are not limited to, statements regarding Kraft Heinz’s plans, expected timing and benefits of the transaction, investment and growth plans, and impact of the sale. These forward-looking statements are not guarantees of future performance and are subject to a number of risks and uncertainties, many of which are difficult to predict and beyond Kraft Heinz’s control. Important factors that may affect Kraft Heinz’s business and operations and that may cause actual results to differ materially from those in the forward-looking statements include, but are not limited to, operating in a highly competitive industry; changes in the retail landscape or the loss of key retail customers; Kraft Heinz’s ability to maintain, extend and expand its reputation and brand image; the impacts of Kraft Heinz’s international operations; Kraft Heinz’s ability to leverage its brand value to compete against retailer brands and other economy brands; Kraft Heinz’s ability to predict, identify and interpret changes in consumer preferences and demand; Kraft Heinz’s ability to drive revenue growth in its key product categories, increase its market share or add products; an impairment of the carrying value of goodwill or other indefinite-lived intangible assets; volatility in commodity, energy and other input costs; changes in the Kraft Heinz’s management team or other key personnel; Kraft Heinz’s ability to realize the anticipated benefits from its cost savings initiatives; changes in relationships with significant customers and suppliers; the execution of Kraft Heinz’s international expansion strategy; tax law changes or interpretations; legal claims or other regulatory enforcement actions; product recalls or product liability claims; unanticipated business disruptions; Kraft Heinz’s ability to complete or realize the benefits from potential and completed acquisitions, alliances, divestitures or joint ventures; economic and political conditions in the United States and in various other nations in which we operate; volatility of capital markets and other macroeconomic factors; increased pension, labor and people-related expenses; volatility in the market value of all or a portion of the derivatives we use; exchange rate fluctuations; risks associated with information technology and systems, including service interruptions, misappropriation of data or breaches of security; Kraft Heinz’s ability to protect intellectual property rights; impacts of natural events in the locations in which we or our customers, suppliers or regulators operate; Kraft Heinz’s indebtedness and ability to pay such indebtedness; Kraft Heinz’s ownership structure; the impact of future sales of Kraft Heinz’s common stock in the public markets; Kraft Heinz’s ability to continue to pay a regular dividend; restatements of Kraft Heinz’s consolidated financial statements; review of the transaction by the Federal Trade Commission, Department of Justice, or other agencies; and other factors. For additional information on these and other factors that could affect Kraft Heinz’s forward-looking statements, see Kraft Heinz’s risk factors, as they may be amended from time to time, set forth in its filings with the Securities and Exchange Commission. Kraft Heinz disclaims and does not undertake any obligation to update or revise any forward-looking statement in this press release, except as required by applicable law or regulation.